Much has been made of the success of Transformers 4 in China (biggest hit of all time, etc. etc.). But at the risk of coming across all Cassandra, it should be noted that before Transformers 4 and the local hit Tiny Times 3 lit up the mainland box office, the outlook for China’s cinemas was no less glum than the malaise currently gripping the US. Here is what local media had been saying. While China has experienced several years of high growth, the local cinema industry is facing multiple challenges: the increasing number of cinema, opened more and more concentrated, higher rent, buy shock …… by Chongqing Municipal Cultural Commission (“City Culture Committee”) Recently released in May 2014 theater box office statistics show that the local movie theater in the top 15, most of the cinema box office fell. Daily Reporter each month according to statistics released by the city of Culture Committee found that from January to May, ranking in the top 15 local cinemas, more than half the theater box office fell. So over-development is starting to take its toll as noted by the operators of cinemas in the city. Chongqing, in the end how many cinema? Chinese Commercial News reporters Zuo Ricong and Shi Wenwei Film Department learned that in 2012 the city’s total operating operating theater 85, 2013 rose to 104, as of May of this year has reached 108, which accounted for half of the main city. Other cities in China are reported the same type of problems. “At present, most theater Shenyang are losing money.” Person in charge of a theater box office in Shenyang in 2013, said the top five. Fortunately Transformers 4 and Tine Times 3 have helped. But they have not altered the underlying problems of over-supply, high rents and low attendance. Ireland (Republic) – Box office is in ruddy good health in Ireland, thanks to cross dressing comedian Brendan O’Carrolls’ Mrs Browns Boys D’Movie, which took over a million euros in its opening weekend in the republic. It is second only this year to The Lego Movie and with €3.2 million set to overtake the brick film’s €3.3 million shortly and also become the biggest grossing Irish film of all time. But the success of comedies ‘Mrs Brown’s Boys’ and ’22 Jump Street’ left the Irish scene looking far healthier with summer figures up 3.8pc on last year. The total for the year is also looking good with attendance figures up 2.6pc on last year. Germany – CineStar rewards loyal customers, with the CineStarCARD launched across all venues to offer value add for frequent movie goers. Snippet of article from paywall site. Malaysia – One of Malaysia’s largest cinema chains has ambitions to expand beyond its existing 242 digital screens in 28 sites domestically (with a further 260 screens in 32 cinema in Malaysia and Vietnam through a joint venture). 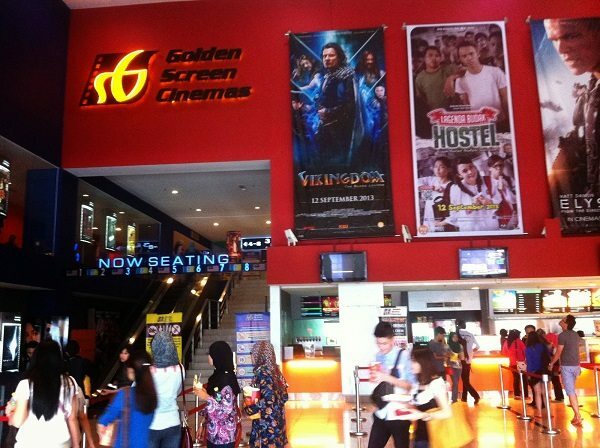 Golden Screen Cinemas Sdn Bhd (GSC) will continue its expansion plan with the setting up of four new cinemas by year-end, says GSC chief executive officer Koh Mei Lee. She said the four cinemas would be located in GSC Klang Parade, GSC Quill City Mall Kuala Lumpur, GSC Ipoh Parade and another flagship cinema, GSC Nu Sentral. China – Are 3D glasses safe – from a germ perspective? That’s the question being asked in China. Given the country’s many food scares (most recently one about meat for McDonalds), these questions of public health need to be taken seriously. It seem from this article that there are still serious shortcomings. This issue has also previously been raised in Italy. 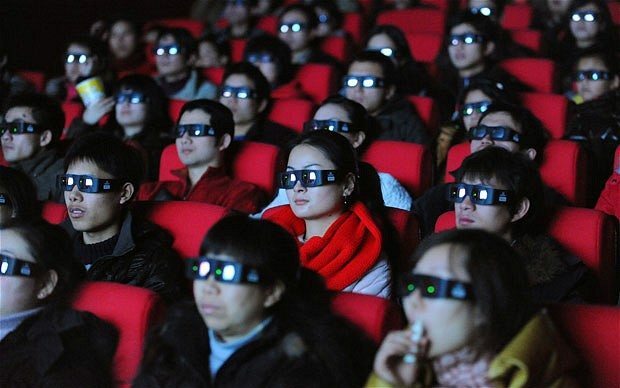 In Chengdu, a large theater every day most of the time about using the 3000 3D glasses, the glasses often repeated use of hidden viral conjunctivitis, “pink eye” and other germs. With the advent of the summer movie files, and more young children into the cinema, the repeated use of 3D glasses, it is easy to become an important medium for transmission of the virus. According to media reports, Xiamen, an audience watching a 3D movie, very swollen eyes, “three-dimensional”, after the hospital diagnosed as acute keratitis, because no disinfection suspected of 3D glasses. Since June 11, Chengdu health inspection for the health situation detachment theater downtown Chengdu to conduct random checks, and the first to focus on supervision and inspection of 3D glasses for cinema. Check in Jinjiang, Taurus, Wuhou, Qingyang, into China, the high-tech city of each of six random sample of a normal business of the theater. UK – An unpleasant incident. Hopefully the alleged perpetrator will be caught soon. A TEENAGER was sexually assaulted during a trip to the cinema, police said. 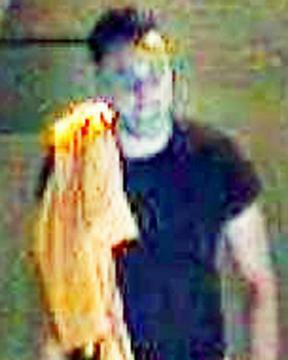 The man, believed to be in his mid 20s, approached the 19-year-old girl at a screening of a horror film at The Vue Cinema in Blackburn, detectives said. Officers said he touched her breasts, put his hands on her upper thighs and kissed her during the film. 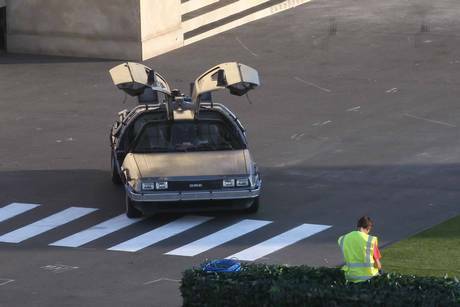 UK – The race is on for Secret Cinema to have its ambitious Back to the Future screening ready, after having to call off the opening night’s show. Ticket holders, some who had travelled from afar vented their fury on Facebook and Twitter. There were inevitable jokes that they should have gone back in time to sort out the problems. The company offered no further details but staff at the site last night told the Standard fire safety inspectors had refused to sign off the venue, and the set was not finished. Ticket-holders complained they had spent hundreds of pounds travelling from as far away as America to attend what organisers called the “most epic and detailed production” in its seven-year history. But while disappointed crowds stood around Hackney Wick train station, the crew were still putting the finishing touches to the set. 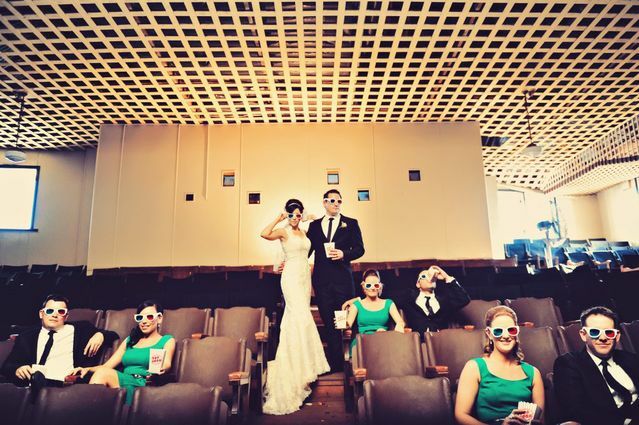 Australia – This restored cinema in Queensland looks as gorgeous as the bride who got married there. THE Cinema And Theatre Historical Society of Australia (CATHS) has congratulated the residents of Childers on the re-opening of the Paragon Theatre. CATHS Queensland convenor Steve Maggs said it was wonderful to see new life breathed into such a historic building. 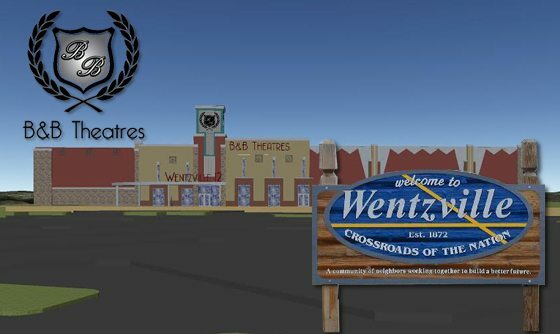 Australia – But a serious bunfight in another part of Australia about bringing back a cinema to town. 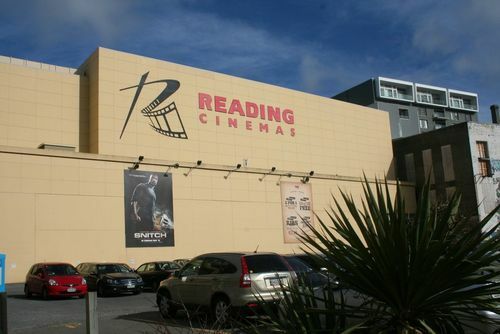 The lengthy and at times heated ordinary meeting of Council on Wednesday night also saw two distinct blocs emerge among Queanbeyan councillors in the ongoing debate over bringing a cinema to Queanbeyan. USA (MO) – The geographical centre point of the United States is to get a 12-screen multiplex. Wentzville, Missouri calls itself the ‘Crossroads of the Nation’ because it sits smack-dab in the middle of the U.S. of A! And what better place to open a state-of-the-art megaplex! 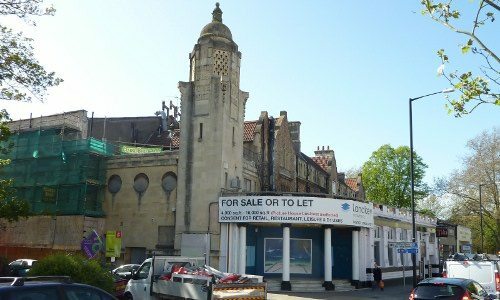 UK – Confusion about the prospects about the Everyman in Bristol, with David Fells, founder of the Whiteladies Picture House group, claiming that last month’s plans approved by councillors fail to fully secure planning requirements. He said there was there was nothing to stop the owners going back on their work and building a gym instead of a cinema. A previous application to build a gym and flats was rejected last year – but planning regulations state that a gym and cinema fall under similar categories, which could allow a back-door change of plans that would not need a new planning application. 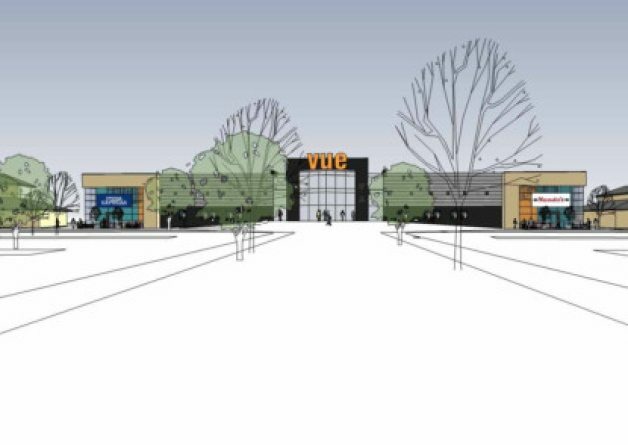 UK – We somehow missed this story, but the fact that Vue is spending £3.4 million to overhaul this multiplex in Lakeside (Doncaster), including solar panels (!) is worth a mention. Other improvements will include the full refurbishment of all existing auditoriums, including the introduction of stadium style seating along with new seats, larger screens, improved acoustics and sound systems and completely redesigned and renewed toilet facilities. The foyer area will also be redesigned and will feature the introduction of a new Ben and Jerry’s ice cream parlour. New Zealand – Queenstown has a plush new six-screen cinema, or rather, a refurbished Hoyts cinema with 30% fewer seats. Don’t just come there for the movie. The sense of space is striking on stepping from the Octagon into the lobby of the new Reading Cinema. The $5.5 million cinema fit-out included an industrial theme lobby design. 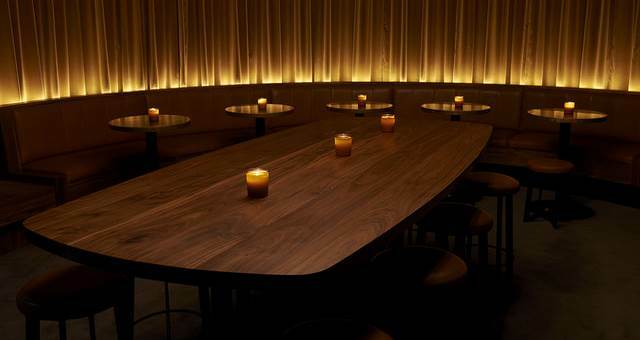 The coldness of the expansive grey concrete walls is softened by a scattering of suspended lights and large dining booths surrounded by warm wood. 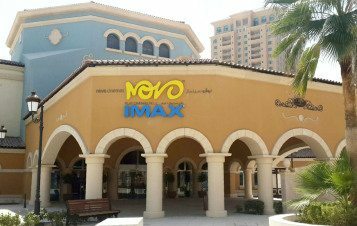 Qatar – Imax continues it relentless march across the globe. But will it be showing Salman Khan’s Kick? The Pearl-Qatar is set to open its first cinema on Monday morning, July 28, just in time for Eid al-Fitr, staff at the building told Doha News on Thursday. The $10 million standalone movie theater complex has 12 screens, including Qatar’s second IMAX screen (after Villaggio mall’s cinema) and a VIP theater. Who can resist a cinema described as ‘if director David Lynch ran a venue, this would be it’? That’s what the newly renovated Paramount Pictures screening theatre in Surry Hill, an inner-city suburb of Sydney, is pitched at. But where is the red velvet lounge and midget singing backwards? The bar area is a brown velvet, timber veneer and brass delight with a secret stage hidden behind a remote controlled curtain. The menu consists of things like The Spielburger, a toasted sandwich with proper New York-style pastrami, sauerkraut and Gruyere cheese served with a pickle, as well as movie-inspired cocktails, craft beers, natural and organic wines from Australia and abroad and cocktail shaker popcorn that comes in a range of flavours including Szechuan. There’s also vintage Dom Perignon for those nights when you win an Oscar or an Emmy. 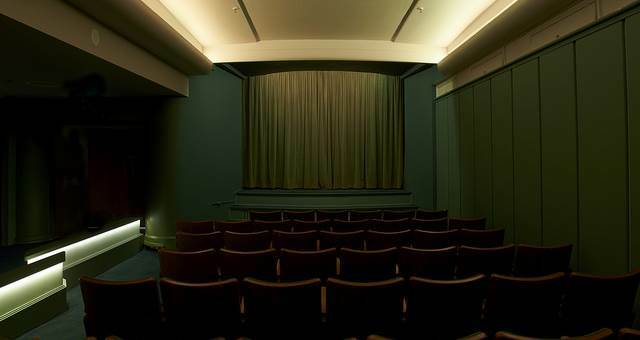 The screening theatre has a more heritage vibe, with chairs purchased from an old cinema in Switzerland, a palette of moss green and vintage film projectors direct from Rome.